Keep your legs moving while sitting with the HomeTrack Walkingpad Mini Treadmill. Use the under desk treadmill as a safe alternative for those with bone/joint conditions, arthritis, or who are recovering from an injury. The large 2" LCD display screen provides optimal viewing of your calorie count, time, number of steps, and your walking distance with auto scan. Ideal for your home, this walkingpad mini treadmill has scratch proof suction cups designed to hold to both wood and tile floor. This easily assembled mini treadmill can be conveniently used and stored almost anywhere. 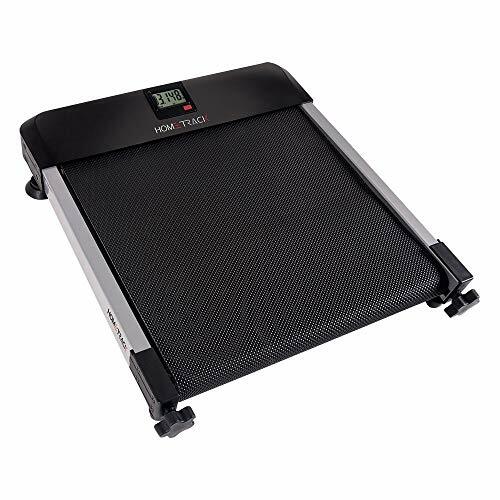 UNIT DIMENSIONS: 20.08" x 4.33" x 16.93"
USER-FRIENDLY: This walkingpad mini treadmill serves as a convenient alternative for those who are constantly sitting or unable to exercise as much as they would like. INTENDED USE: The walkingpad mini treadmill can be used as an under desk treadmill, couch treadmill, or as any small treadmill application. ADJUST THE INCLINE: The under desk treadmill has adjustable back legs that allow you to increase its incline for a better workout while seated. EASY SET UP: This walkingpad mini treadmill requires no assembly, and it can be easily stored when not in use. If you have any questions about this product by North American Health and Wellness, contact us by completing and submitting the form below. If you are looking for a specif part number, please include it with your message.